Potter Lawson completed a full interior remodeling of the QBE Insurance Building 200, originally designed by Potter Lawson in the 1980’s. 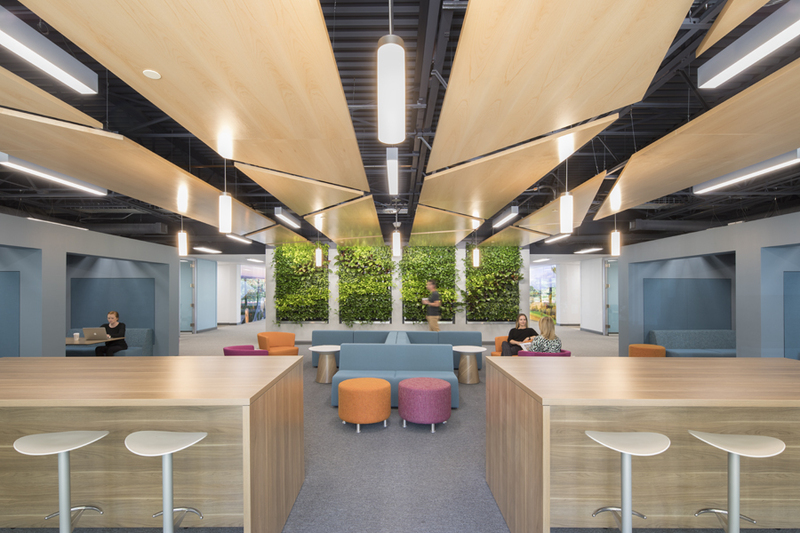 This 91,000 sf project transformed the workspace into an open environment that funnels natural light deep into the building. 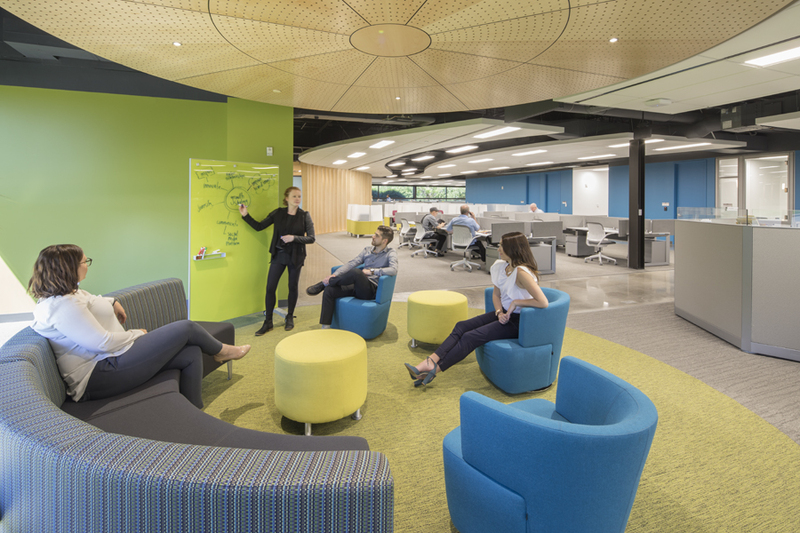 The central communicating stair acts as a hub of activity, flanked by a central collaboration space that offers a variety of seating options as well as a living green wall that brings nature indoors. 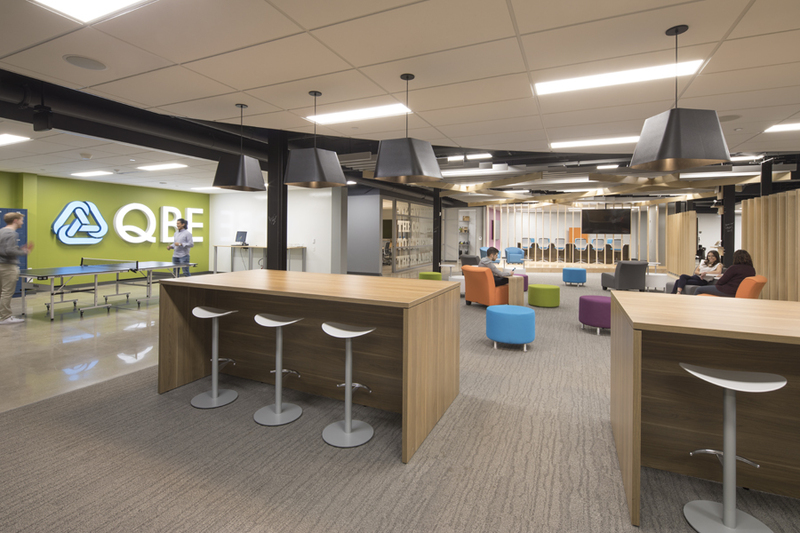 The ultimate goal of this project was to create a building that adapted to employee work styles, offered flexibility in both work spaces and technology, while also instilling QBE’s brand image and bolstering their corporate culture. 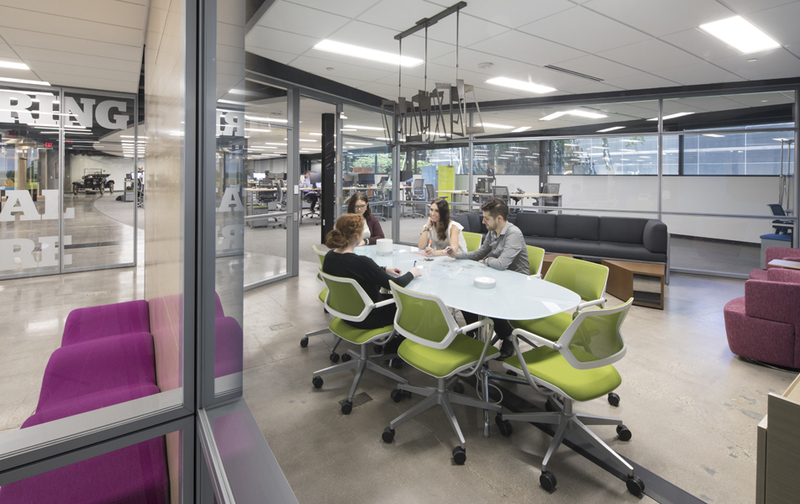 Smaller collaboration and breakout huddle spaces were sprinkled throughout the facility to support spontaneous meetings and quick idea sharing while also integrating technology.